This is my first OOTD post! I was feeling put together and sort of cute, which is rare these days, so I decided to snap a picture before we headed to my friend Laura’s baby shower on Saturday. 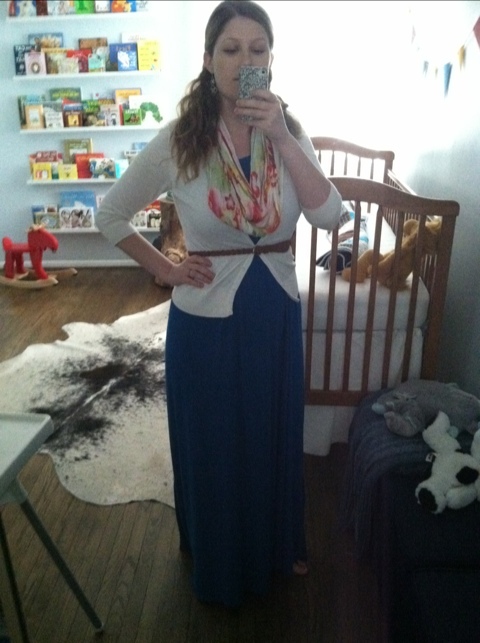 I wore a blue maternity dress from target, white cardigan, floral scarf from old navy, brown belt, and flip flops. 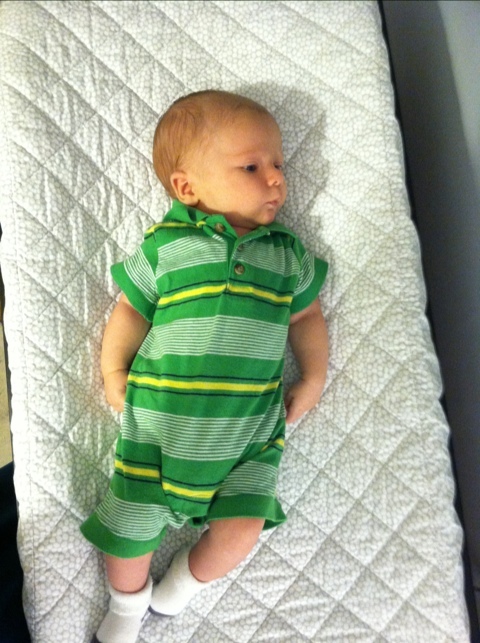 Liam wore a striped polo jumper from old navy, a green bum genius cloth diaper (first time for these – big step!) and froggy socks from target. He’s such a handsome date! ohmigosh, I just love him so much!